Season 1 is out now. Through Ecology, Design, And Sound. Broadcasting from the Pacific Northwest, Future Ecologies is an ongoing series of stories about the land around us. We examine the ecological processes that define planet earth: how they affect us, how we’ve affected them, and how we can align with them to create vibrant, biodiverse, and resilient societies. We dig deep to reveal that at the core of every “environmental” issue is a human design choice that isn’t static - we’ve made different choices in the past, and, with a little creativity, we can choose differently in the future. Sign up below to get special news and updates about the show. This mailing list will be used for show updates only. We are an independent and unaffiliated podcast. Your contributions have a huge impact in our ability to produce stories that matter and make them sound great. Support us on Patreon - Patrons will get access to stickers, mini-episodes, plus other exclusive audio + visual treats. Click here to make a one-time donation using a credit card or Apple Pay. 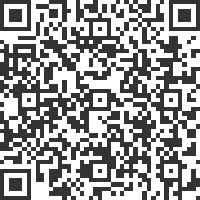 To donate using cryptocurrency, click on the logos below for QR donation addresses. Cryptocurrency donations are anonymous by default (at least to us). Send us a note so we can say thanks. We hope you love listening to the show as much as we love making it. Now you can show the world! We have a few different options for you to adorn yourself and your possessions with Future Ecologies merchandise. Send feedback, ask a question, or suggest a story.